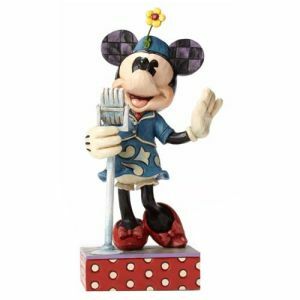 We have Just Sold out of Disney Traditions Minnie Mouse Sweet Harmony Statue. This Item is unavailable at present. From the Disney Traditions collection by Enesco. Disney Traditions Minnie Mouse Sweet Harmony Statue. Made of stone resin. Statue measures approximately 6.25 inches tall by 3.5 inches wide by 2.75 inches long.